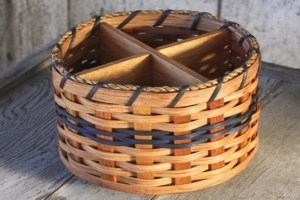 Woolgatherings has baskets and supplies to help all your creative dreams come true! 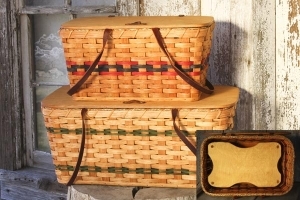 Each basket is individually handcrafted, American made, and 100% unique! 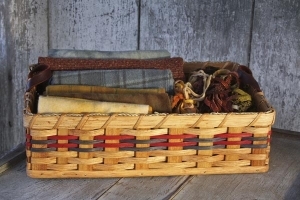 The Woolgathering Basket was designed to contain and organize primitive rug hooking projects, tools and supplies, both at home and while traveling. 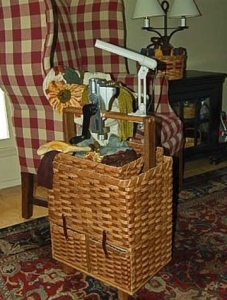 Quilters, knitters, other needle workers, and crafters have discovered the Woolgathering Basket also works well for their projects. 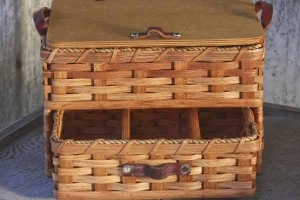 The Woolgathering Basket is also roomy enough to provide storage for various projects as well as tools and supplies needed when working on projects. 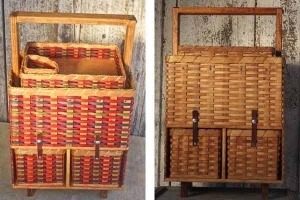 Luggage wheels/cart can easily bungee to the Woolgathering Basket, enabling you to roll projects and supplies from room to room, home to car, car to hotels or meeting sites. 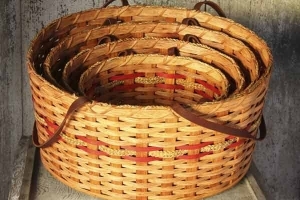 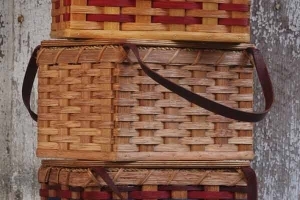 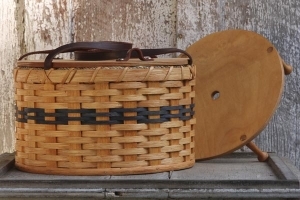 Woolgatherings’ baskets are made by an Amish family in Lamoni, Iowa. 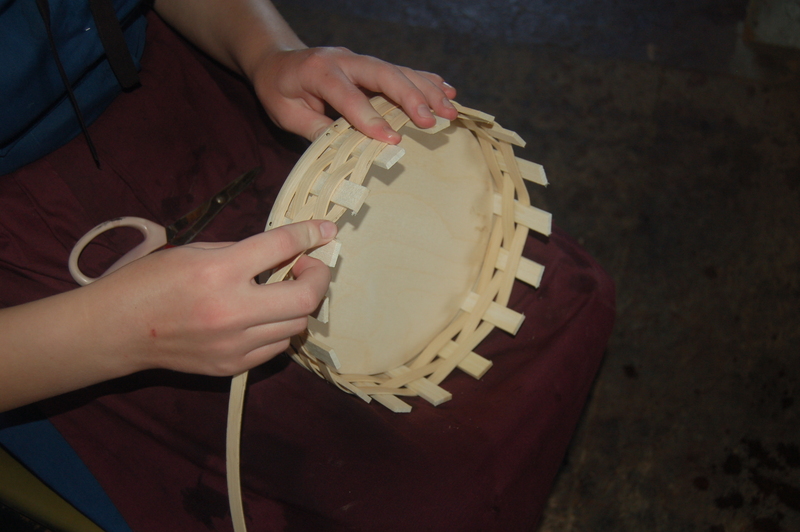 The Amish preserve their heritage and traditions by teaching their customs and crafts to their children at a young age. 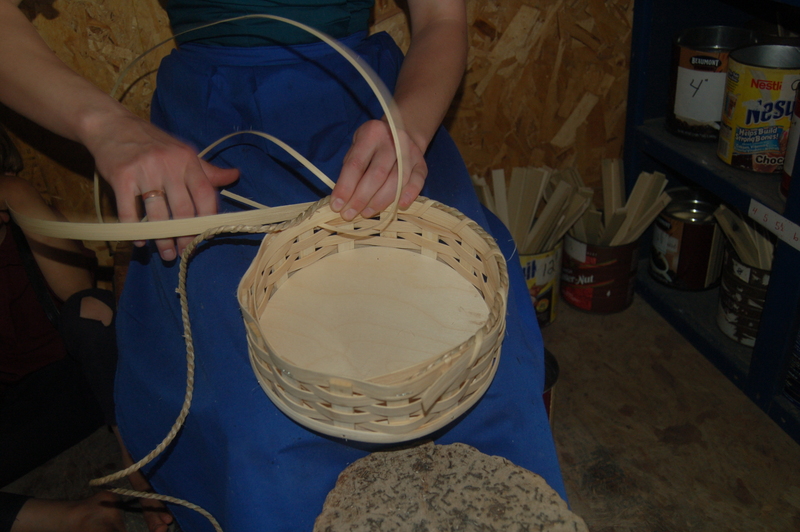 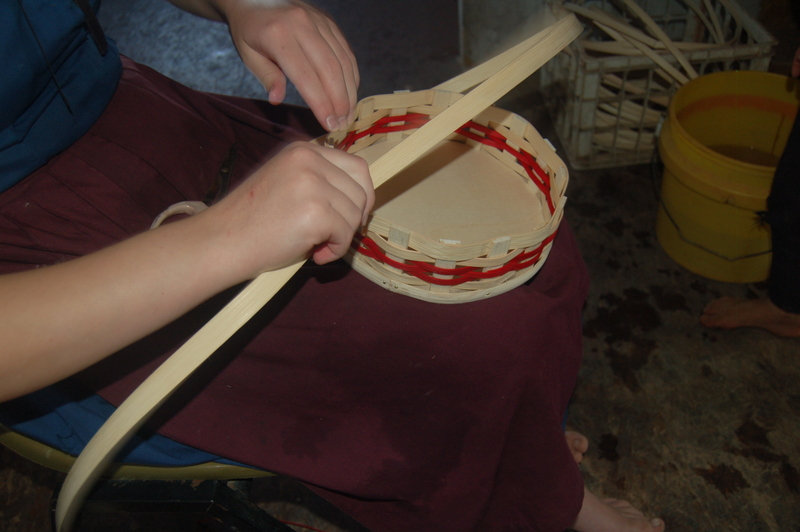 The Gingerich family work hard to create each original basket through the art of weaving and woodworking. Because each basket is individually handcrafted, same type baskets can slightly vary in size, shape, color and detail. 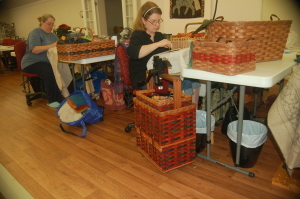 Each basket is signed and dated by the family member crafting the basket. 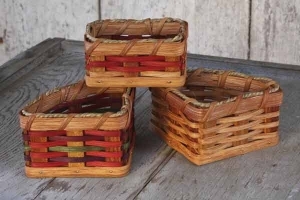 The baskets have wooden bases and lids. 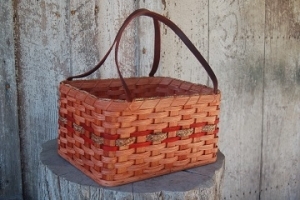 They are woven from hand dyed or stained reed and completed with sturdy leather handles. Woolgatherings’ baskets are designed and constructed for durability, usefulness and attractive appearance. Rug Hooking Magazine & ATHA Magazine! 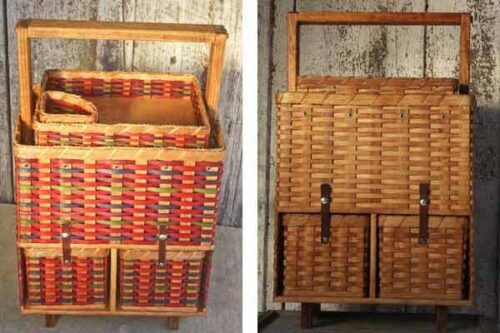 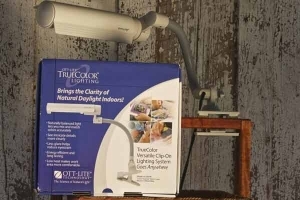 With 2 drawers and ample storage space, a work tray, and space for clamp-on tools! 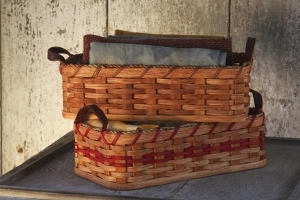 Little baskets for organizing your odds-n-ends for a clean workspace. 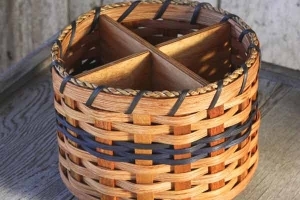 Divided basket on a lazy Susan. 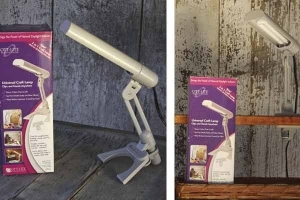 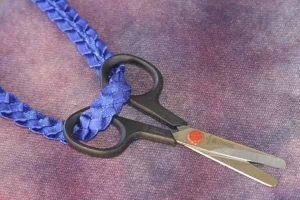 Great for organizing rulers, scissors, and more! 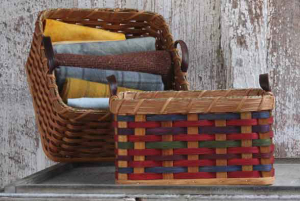 Woolgatherings offers a variety of baskets and misc items to aid in organizing a variety of needle work or creative projects. 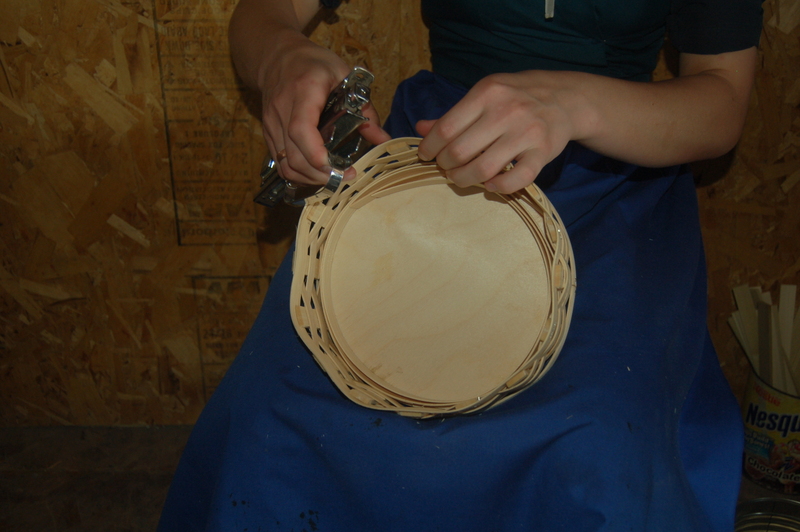 Many of the baskets also have other household uses. 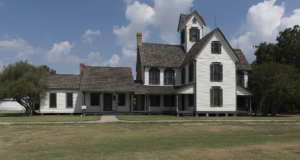 Thank you, Historic Mesquite Inc., for allowing the use of Opal Lawrence Historic Park in Mesquite, Tx. 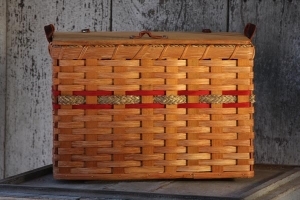 for photography purposes. 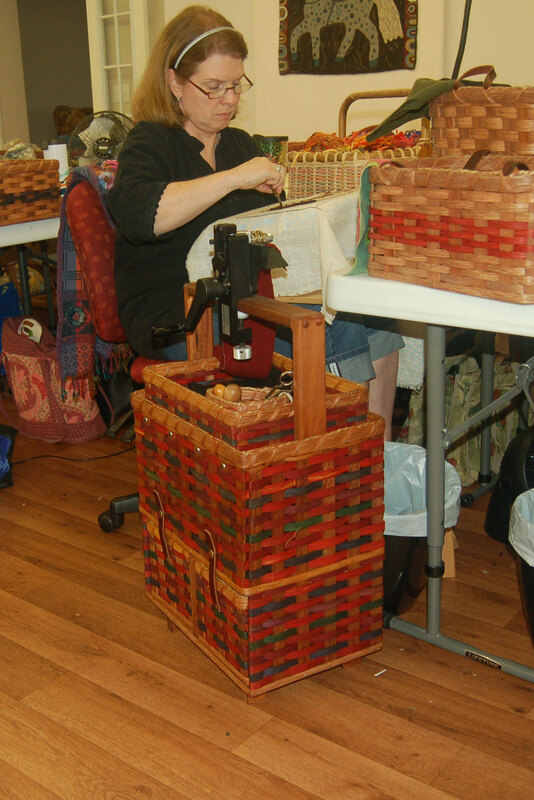 Thank you, Fay Stout (www.TheInquisitiveEye.com) for your time and photography talents.